Are you planning to buy an apartment in Italy? 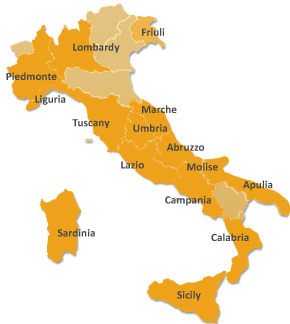 Our apartments in Italy are located in Tuscany, Umbria, Lazio, Abruzzo and Campania, often in historical towns, in historical farmhouses converted into apartments, or in newly built structures. Some of these apartments have access to a swimmingpool, whereas those situated in historical towns have the Italian daily life at their doorstep. You will find Casa Bel Sole’s apartments, for example, in Castel Ritaldi, San Casciano dei Bagni, Abbadia San Salvatore, Città della Pieve, Radicofani, Castiglione del Lago, Cetona, Asciano, Chianciano Terme, Montepulciano, Fabro and Montegabbione.